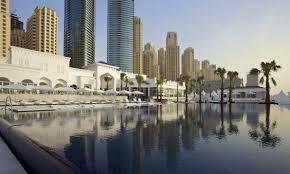 Written by The Sweat Shop // Sweat Breaks // Comments Off on Dubai’s Best Pools Revealed! 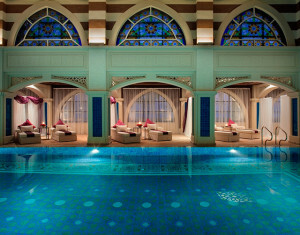 BOOK: Book a massage for around Dhs495 for 60 minutes and enjoy the pool for free. You also have use of the snow room, Jacuzzis and rainwater showers. Call (04) 453 0456. WOW! Featuring two infinity pools that look out on to the Gulf, this is the perfect home for any water babe. And if you’re looking to kickback and relax on rest day, there are plenty of loungers and cabanas for you to make use of. BOOK: Day pass rates Dhs250 (Sun to Thurs), Dhs495 (Fri and Sat). Call (04) 433 3777 for details. WOW! 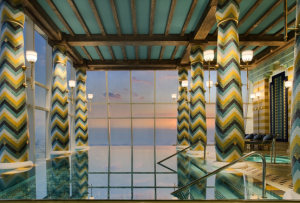 This infinity pool offers uninterrupted views of the Gulf. Set on the 18th floor of this iconic building, the only blot on your horizon will be the occasional Sunseeker sailing past. BOOK: Pay around Dhs695 for a 55 minute massage. Call (04) 301 7338. WOW! 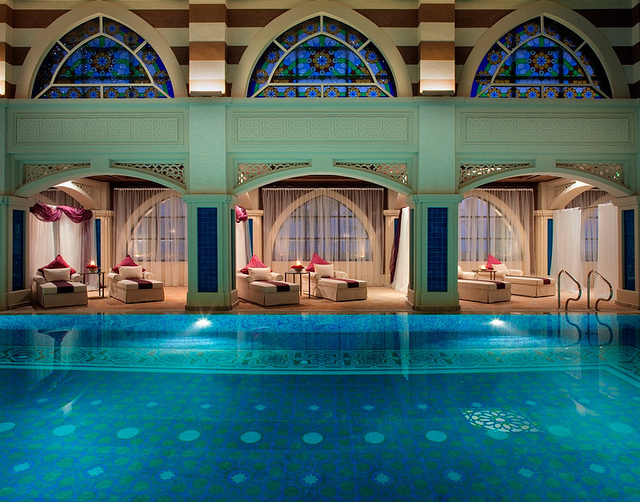 This 50m pool at the Hamdan Sports Complex will help you burn some calories. 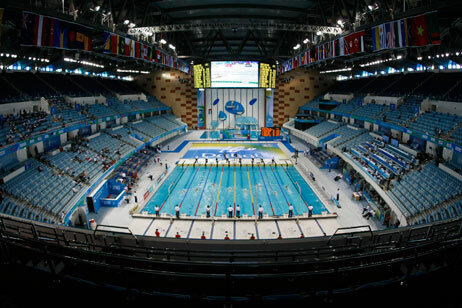 Host of the FINA World Swimming Championships, if this water highway doesn’t spur you on to score a PB, nothing will. 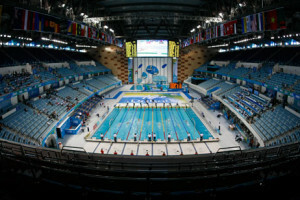 YOUR TRAINER Poolmate (from USD92, amazon.com) – helps you count your laps. YOUR READ Born To Run by Christopher McDougall (USD12, good book stores) – the true story that will inspire you to do more. 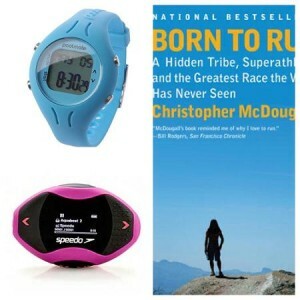 YOUR JAM Speedo Aquabeat 2.0 (USD119, amazon.com) – the tunes that will help you score a PB.